The Supper Club meets most Thursdays at my house in London. The founder members are myself, Naomi Moore and John Tygier. Other early attenders include Chuck Cartmel and Keith Temple. For this year's Grand Christmas Supper Club all these worthies were present, plus special guests Ben Aaronovitch and John's son Sam Tygier. 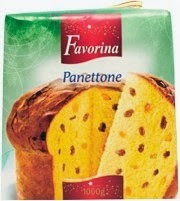 To mark the time of year we indulged in a special panettone comparison. 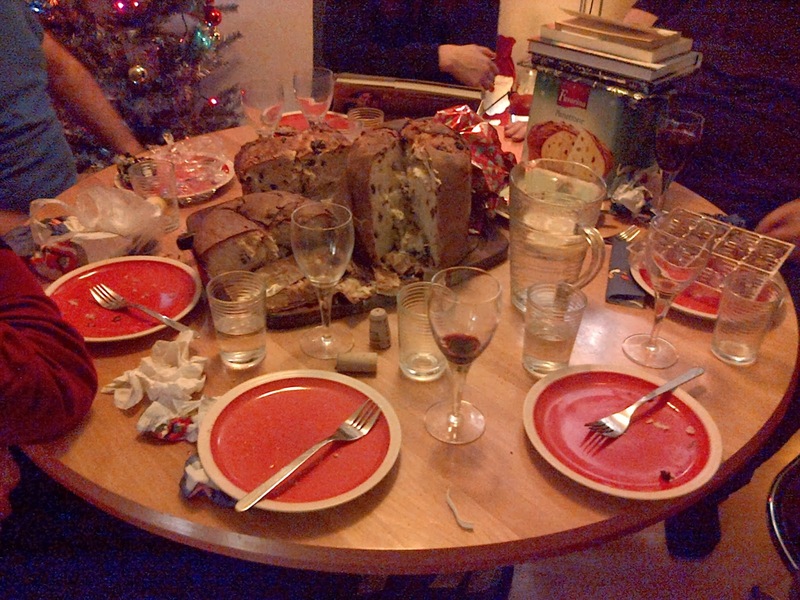 This was a 'blind tasting' — a slightly alarming term that means that no one (except me) knew which panettone was which before we'd finished tasting them all. My shortlist of panettones was taken from this excellent review at Italy Travel & Life where they tasted a total of seven. 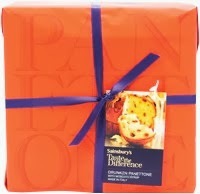 The three contenders I selected (I didn't think we could stuff down more than three) were Sainsbury's Drunken Panettone (so called because it is drenched in sweet wine), the Arden & Amici Classi Panettone from Waitrose and the Favorina Panettone from Lidl. The results? The Drunken Panettone and Arden & Amici tied for first place, with my personal preference being for the Drunk. The Favorina was somewhat drier and had less fruit than the others, but still tasted very agreeable. And when you consider the Favorina cost £4 per kilo versus over £10.50 per kilo for Arden & Amici, and over £13 per kilo for the Drunken one, then it becomes a serious contender. Well done Lidl. And since it's the season of goodwill I'll even forgive you for your mis-labelled prawns. For now.